Summer is the season of war in the Free Cities. Marcus wants to get out before the fighting starts. His hero days are behind him and simple caravan duty is better than getting pressed into service by the local gentry. Even a small war can get you killed. But a captain needs men to lead -- and his have been summarily arrested and recruited for their swords. Cithrin has a job to do -- move the wealth of a nation across a war zone. An orphan raised by the bank, she is their last hope of keeping the bank's wealth out of the hands of the invaders. But she's just a girl and knows little of caravans, war, and danger. She knows money and she knows secrets, but will that be enough to save her in the coming months? Geder, the only son of a noble house is more interested in philosophy than swordplay. He is a poor excuse for a soldier and little more than a pawn in these games of war. But not even he knows what he will become of the fires of battle. Hero or villain? Small men have achieved greater things and Geder is no small man. Falling pebbles can start a landslide. What should have been a small summer spat between gentlemen is spiraling out of control. Dark forces are at work, fanning the flames that will sweep the entire region onto The Dragon's Path -- the path of war. This was the start of another intriguing fantasy series, one about political turmoil and war. The book is about 4 people. Marcus who used to be a great hero but as a nation marches to destroy his city he leaves with a caravan. He is sick of fighting for princes. He was a good leader, he did things that had to be done, and he knew how things worked. Cithrin, a young woman was most of the time part of his story. As she left the same city with money and jewels hidden to take them to another Bank, and as a part of his caravan. She was young, a bit naïve, did some silly things, but then she was not yet sure of herself and as the book progressed the more sure she got. Then we have the other site. The conquering nation. Geder, son of a minor lord, and a bit heavy and he would rather read books. But his life was the one that would change the most. He went from knowing nothing to becoming a better man. But as he did that he made mistakes, and in the end he still was not his own man. So from nothing to something, he still was nothing. In and out of his story with a story of his own was Dawson, a lord playing games at the royal court, and trying to save the king. Their paths even cross. They all have good sides and bad sides. But they form a very interesting cast and the book works well showing the world through their eyes. The story is a lot about politics. Powers are working behind the king in one country and there is a ripple effect. The countries are not so stable. There are a lot of schemes behind the scenes that binds together this fascinating story. The world is also different as there are 13 different races living there, human looking ones, and some not so human looking. But some countries have more of one sort and some not. There are also talk about dragons that lived before them but they seem to be no more. The tale starts with a man running, so throughout the book you know that the schemes and the wars are not the biggest problem. There is a spidergoddess who will cause chaos. When I do not know, but she is coming and it will not end well. 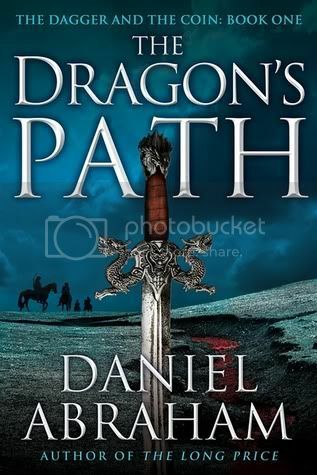 An interesting start to a fantasy series, and at the end I know that I have much more before me. I will cheer for some, and not so much for others. A book for those fantasy fans that like a bit more politics in their books. I would recommend it and I want to read more from this author. I would gladly get aquianted with this series - thanks for a good review! Will look forward to reading more, but not sure it is for me. No, I like fantasy, but not politics. So I'll skip this one. Fantasy with a bit of politics - sounds like something I would like! I would like to give this book a try. Not sure about politics but otherwise sounds interesting. If only there was more time! The whole politics and war drama is not for everyone. Hm... this one sounds like something I'd like. I don't mind politics in the book. Makes sense with a kingdom to run. Great review! For some reason, the bits about the dragons that used to exist and the advent of the spidergoddess sparked my attention. I am not a big fan of politics in books... love the cover though! Ooh, I do love meaty novels with some intrigue -- sometimes fantasy has too much world-building and I get lost but since this is on NetGalley I'll give it a try. thanks for the recommendation! Not sure this is a series for me but I do like that cover. I have this one. Glad to see you enjoyed it. I'm not a big fan of books that have a lot of politics in them but I've been hearing such good things about this book, as well as about the author that I do intend to read it sometime soon. I love fantasy even though I haven't read one in ages...but I'm not big about politics within the story. Still...this one sounds interesting! Oh, I'm glad you liked this one! I've been intrigued by it, though I want to read his Long Price Quartet first, as I already have the first two books in that series. You know I want this book. It sounds like one I could really enjoy. And I'm good with all the aspects given here. :) Thanks!